Sadio Mané has said he will try to repeat his performance for Salzburg against then Bayern Munich when they beat Pep Guardiola's Bayern in the Bundesliga 3-0. 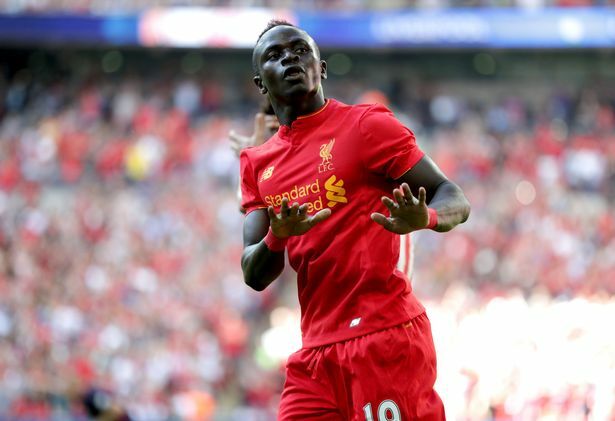 "We won 3-0 and for us to play against a big team like them was a big moment," said Mane. "I was very happy that day to help make this kind of game and help my team. "Pep was the Bayern coach so maybe he will remember, but now it is a different type of game, in a different league and this will be a tough game. "I just have to try to give my best and make the fans and my team-mates proud." Saturday's encounter pits two of the Premier League's top-scoring sides against each other with Jurgen Klopp's side having registered six more goals than the visitors to Anfield. The evening kick-off is expected to be full of goals and attacking football, with City's top scorer Sergio Aguero back from suspension. He will be a constant threat to Liverpool's probable centre-back pairing of Klavan and Lovren who need to be at their best to nullify Man City's goal scoring threats of Aguero, Silva and possibly the returning Raheem Sterling. "It will be a very good game because it is two open teams and everyone will be excited to play this game," added Mane. "Maybe we have the best strikers, I can't say. In our mind it is not about being the best, it is about trying to score as many as we can. "Of course it would help us make a big step if we won but not just against City, we have to try and do that in every game. "We know we can beat every team in the league and so we are only focusing on ourselves. We don't have to think too much about City."